Power Supply Cable - 10 feet of 8 gauge Red/Black Zip Cord mounted with 75 amp Powerpole connectors on one end and 3/8 inch Gold Plated ring terminals on the other. 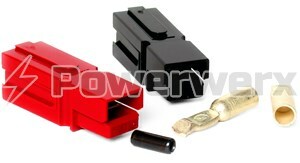 Ideal for connecting a power supply or battery to the PD-75 power distribution block. Power Supply Cable - 10 feet of 8 gauge Red/Black Zip Cord mounted with 75 amp Powerpole connectors on one end and 3/8 inch Gold Plated ring terminals on the other. 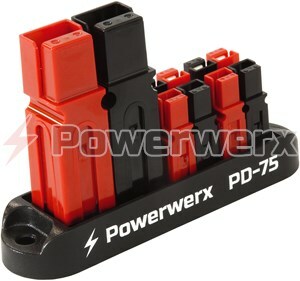 Ideal for connecting a power supply or battery to the PD-75 power distribution block.